My year as the FitWit Live Fit winner has come to an end. However, everything that this year has given me will help me to continue always moving forward. I started the year hoping to survive a workout to finishing the year reaching for heavier weights and getting extra rounds. Everything is finally getting back on track. August was a hard month. Sadly, at the end of July, I was in a car accident that put me on the sidelines. I was out of all of my gym and running activities for several weeks. LiveFit Winner, TJ – Six Months In! I made it to the 6-month mark! To be exact at the time of reading, I have made is 178 days as a part of the FitWit Nation! I’m super excited to have made it this far and looking forward to the next 6 months. 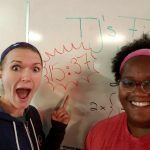 Live Fit Winner TJ: Be Consistent! 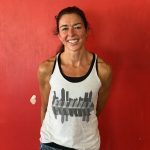 I’m excited to have a great addition to my running that is showing results so quickly. 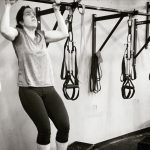 Every wall ball, squat, kettlebell swing, push up and even jump rope has helped me during my marathon training (regardless of what my faces or grunting may say).